The summary of evidence provides an overview of the topic area. It provides definitions and common understanding around the topic, the importance of addressing the topic at work, and then a summary of the literature (both practitioner and academic) aimed at addressing the topic at work. We have selected some of the strongest academic research regarding interventions to manage the return to work process following mental health sickness absence and provided summaries below. All studies have been published in peer-reviewed journals and are presented under four headings: Prevalence and literature reviews – a summary of leading systematic reviews, meta-analyses and studies providing further insight into return to work following mental-ill health research; Individual Interventions – return to work interventions focused at the individual; Manager Interventions – interventions aimed at supporting managers/leaders who are managing an employee through the return to work process and Practitioner Interventions – return to work interventions focused towards the practitioner. Some of the strongest practitioner evidence regarding interventions relating to return to work following mental health sickness absence has been summarised below. These are empirical studies or work of publishable quality that provide case studies and reviews of interventions conducted in the workplace. The papers are presented under three headings: Organisational Interventions and Support Systems, Manager Interventions and Individual Interventions. The resources below aim to support individuals through the return to work process following mental-ill health by giving the individual access to resources, tips and practical guidance. Both guides are designed to be used in a self-led manner and include other helpful information such as general information on mental health, their legal rights surrounding mental health at work and how the reader can support their mental health in the workplace. Both guides also provide links to further resources and information to support the return to work process. The guides and toolkit below aim to provide further insight and information to managers who are having to support and manage a colleague through the return to work process following mental health sickness absence. 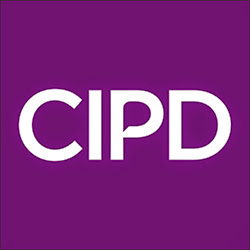 There are a range of toolkits and guidance documents provided below which have been developed to support organisations and practitioners through the return to work process following mental health sickness absence. These resources have been designed to help practitioners and organisations consider an organisational approach to managing return at work. The documents below relate to national policy implications. The resources are aimed at helping organisations to implement national policies and laws relating to return to work following mental health sickness absence. We aim to update all the evidence and tools in the Hub on a regular basis in order to ensure that the Hub remains the essential resource for evidence-based practitioners. If you would like to be informed via email when new information is added to the Hub, please complete the form below. Please note, we will not pass your information on to any third parties and will only use this information to contact you about the Hub. Thank you and see you in your inbox. What do you think of the Hub?